China’s wealthiest classes have secured their recent fortunes through various means, both legal and illegal: These include (1) the privatization of public enterprises; (2) the savage exploitation of cheap labor after destroying workers rights , protections and social welfare legislation; (3) large-scale, long-term corruption of government officials; (4) the often violent state-sponsored land-grabs from towns, villages and farmers and the land transfer to private investors; (5) real estate speculation; (6) changes in state regulatory policies leading to oligopolistic control of markets; (7) large-scale tax evasion, money laundering and offshore transfers of profits and (8) state policies dictating low wage and salaries and repressing workers collective action. The Communist leadership’s pursuit of an ‘export-oriented’ growth model, based on reducing labor costs to secure competitive advantages in world markets, coincided with the emergence of aggressive Chinese capitalists intent on increasing their profits and concentrating private wealth. This model of capitalist accumulation required ‘capital-friendly’ labor policies to attract large-scale, long-term investment from US, Japanese and European multinational in association with China’s wealthiest capitalists. China’s capitalist development was based on a triple alliance of national, foreign and state capitalists, all of whom depended on the widespread, massive corruption of state-party officials. As the economy grew, national capital diversified from manufacturing to the FIRE economy, (finance, insurance and real estate). As the economy “liberalized”, overseas and local financial institutions proliferated. Speculative profits attracted major investors as well as millions of middle class ‘fortune seekers’. China’s growth led to its rise as the primary market for raw materials and the primary producer of imported consumer goods in Latin America, Africa and Asia. Its rapid growth provoked the US to build-up its bases around China and launch a policy of military confrontation and encirclement as well as regional trade exclusion (the so-called ‘Pivot to Asia’).. The long, deep recession in the European markets and the financial crisis in the US limited China’s high growth export model. Meanwhile, second and third generations of skilled Chinese workers became more militant, demanding and winning double digit wage increases. At the same time rural communities staged mass demonstrations and took direct action against corrupt local officials linked to land-grabbing speculators and other attempts to drive them from their homes and farms on behalf of powerful real estate interests. Wealthy Chinese investors, who diversified into the FIRE economy, created a speculative real estate bubble. High-ranking party officials, who had enriched themselves through the corrupt takeovers of lucrative state monopolies, caused economic stagnation and deep political disenchantment among the mass of Chinese people. Worldwide demand for China’s exports declined with the global economic crisis. A massive anti-corruption campaign was launched to restore morality to the government and to win back public respect. Over 250,000 corrupt officials were identified, investigated and tried. Many were imprisoned or dismissed and some were executed. Reform of wage and income policies was designed to reduce inequalities and encourage domestic consumption. As a result wages rose 10% annually. The investigation and prosecution of speculators, including investors connected to foreign hedge funds and big oligarchs who had gained gaining billions by “defrauding” retail investors, was initiated by the judiciary. The Chinese currency, the renminbi, was devalued to promote exports. The government increased military spending in order to confront the US naval encirclement, including upgrading its of most sophisticated weapons systems, which were on display recently during China’s massive ‘Victory over Japan’ parade. Two new international investment-financial organizations was set up to counter the US dominated IMF and World Bank and to encourage the participation of regional trade partners as a response to Washington’s Asia Pacific trade arrangements which specifically excluded China. Greater emphasis is now placed on providing domestic government services, enforcing tax collection, broadening social welfare legislation and social accountability. Measures are being implemented to prevent the flight of Chinese capital by oligarch families as they flee criminal prosecution for their illicit business activities. China’s wealthy classes are resisting these government reforms designed to lessen some of the class imbalances and injustices and to deal with the multiple crises in the society and economy. They have been transferring hundreds of billions of dollars out of the country – essentially disinvesting and de-capitalizing the economy. They have expressed deep concern that the increase in workers’ wages will cut into their profits and that they will lose their lucrative contracts as well as access to compliant, corrupt government officials. They are anxious to hide their source of wealth for fear they will end up in the criminal docket with corrupt partners in the government. China’s wealthy classes have gone on a buying spree of overseas real estate, fixed income securities, commercial properties, trust products, etc. in an attempt to safely stash their wealth. Large-scale speculation, the massive flight of capital and cancelling of irregular state loans have all contributed to the current volatility in the Chinese economy. China’s wealthy classes create their own self-fulfilling prophecy: their capital flight and speculation creates the very volatile conditions that then serve as the pretext for even more capital flight. The source of the current Chinese crisis is found in the behavior and political alliances of the leading classes who benefited from the rapid growth Chinese capitalism. Progressive capitalist reformers believe that to end the crises requires radical reforms. They advocate: (1) returning the financial market to its original role as an instrument of productive activity; (2)reversing the liberalization of the financial market, including ending speculation by Western hedge funds, re-introducing capital controls, going after tax evaders and punishing massive illegal transfers of profits to offshore havens; and (3) increasing domestic mass consumption and imposing restrictions on conspicuous elite consumption, via progressive income tax and welfare measures. The process of rectification has encountered passive resistance from the comprador capitalists as they spirit their wealth out of China. Wealthy Chinese have adopted a post-colonial comprador mentalityborn out of their tight economic ties with Western capitalists. They absorbed the neo-liberal ideology; they prize Western education and culture and turn to the US imperial state to protect their wealth – in a dramatic shift of loyalties. Their own children attend the most expensive private US universities where they are indoctrinated with US elite-centered political and economic dogma. They stash their money in high end real estate as an investment and to house their families and children who attend elite US schools.. It is difficult for Chinese political and economic ‘reformers’ to solve the problem of the comprador capitalist, because the ‘reformers’ have engaged in similar behavior and practices over the years. It is critical for the ‘reformers’ to expose the illicit wealth and go after the compradors with aggressive prosecution. This will be difficult because many reformers have family members among the comprador class, have benefited from the speculative ‘boom’ and have sent their own children abroad. Some may even have their own secret bank accounts overseas – the profits from deals made with big investors. There is no deep fundamental or class division between compradors and reformers in China. 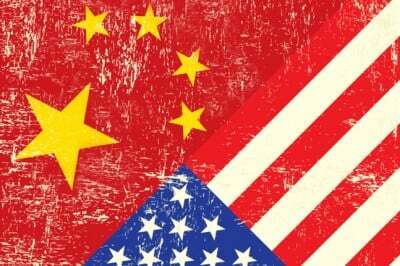 However, the crisis and capital flight is intensifying class polarization and external events are forcing a deeper rethink of how China should confront US militarist policies. The US military threat is causing problems for Chinese compradors and their economist-propagandists. It is difficult to ‘sell’ the idea of opening wide to Wall Street when the country is staring down the barrels of US guns. In a strategic sense, this frenzy of Chinese capital flight legitimizes the rectification campaign and weakens compradors’ influence in the economy. Even some of China’s most ardent economic liberals are in flight! Nevertheless, the reformers’ hesitant steps, their deep ‘faith in the market’ and the massive presence of foreign multi-nationals inside China indicates that real, deep, structural changes are not on the agenda. China’s reformers have started their new version of “The Long March” through many layers of corrupt, flawed and failing institutions …Bigger and more consequential changes await the awakening of the working class.